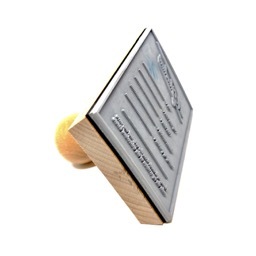 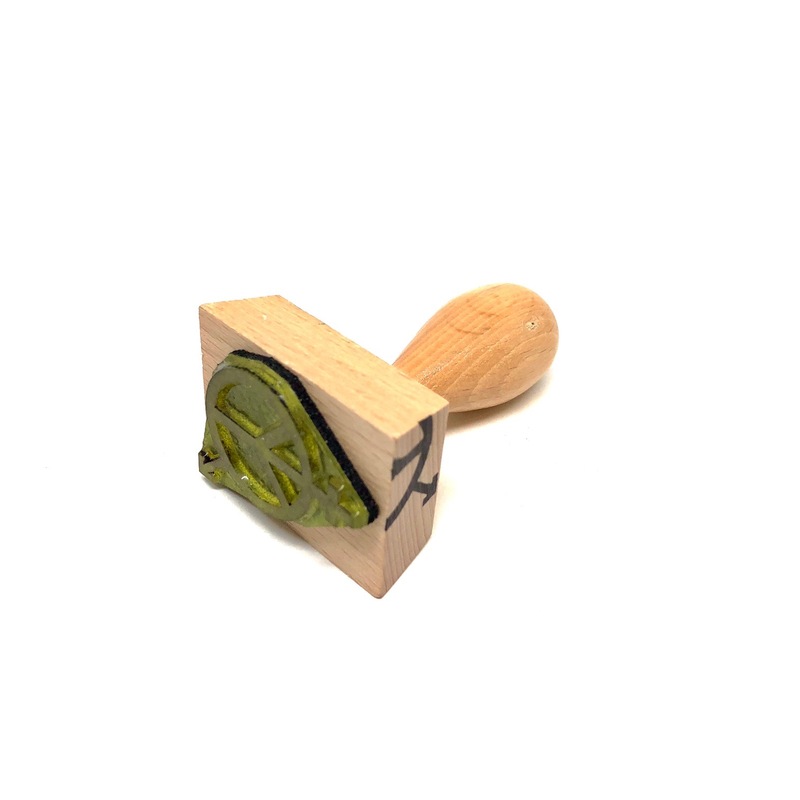 Hand stamps are mounted on a wooden handle, and are manually inked by pressing the stamp into a stamp pad. 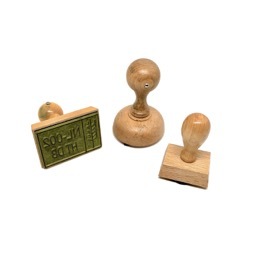 The surface of the print can go from one to tens of square centimeters. 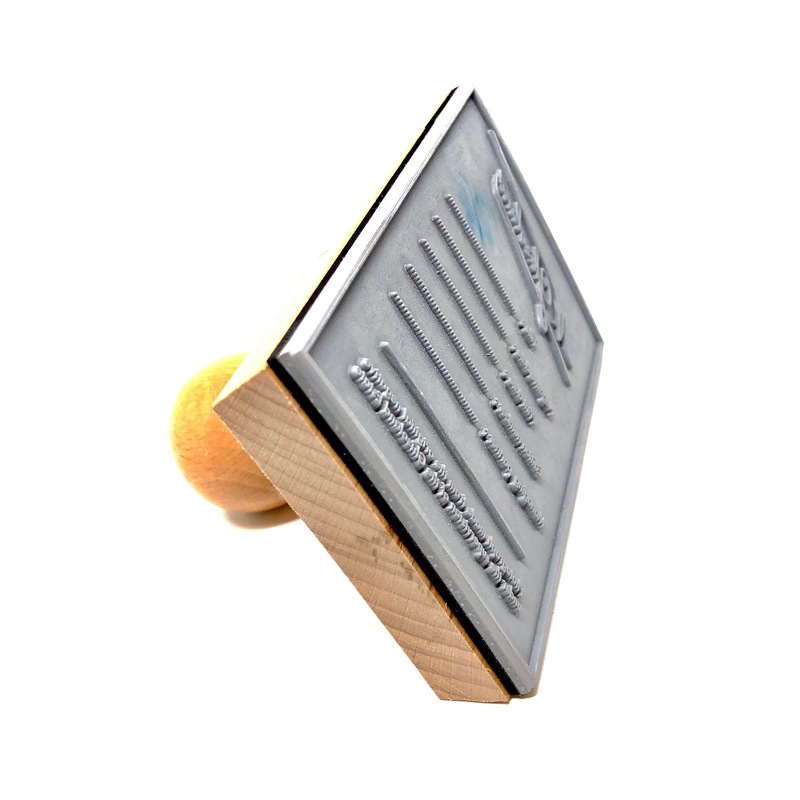 You can deliver us the design, or we can make the design for you. We have a wide range of different ink colors.